You may love her or hate her, but if you’re interested in UFOs, you probably want Hillary Clinton to be elected president in 2016. 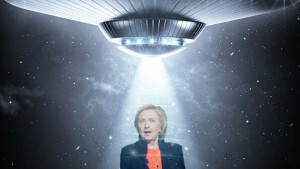 While on a campaign stop in Conway, New Hampshire, Clinton told a reporter that she definitely intends to investigate UFOs and alien visitation as president. “I’m going to get to the bottom of it,” said Clinton, according to the Conway Sun. The newspaper reported that she answered “with enthusiasm”. “I think we may have been [visited by aliens],” she told the reporter. “We don’t know for sure.” Evidently, she intends to find out. Hillary told the Conway Sun that she was also interested in further investigation into Area 51. Clinton noted that her campaign manager, John Podesta, is outspoken about his conviction about extraterrestrial visits to Earth. 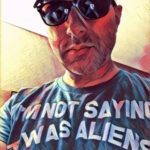 One of Podesta’s last messages as an outgoing senior advisor to president Barack Obama was this tweet: “Finally, my biggest failure of 2014: Once again not securing the disclosure of the UFO files.” Podesta, a UFO enthusiast, insisted that the tweet was serious.